Comfortably Huggable and Amazingly Lovable are only a few words to describe this new cute teddy bear addition to the Giant Teddy family of teddy bears which we like to call Daffodil. They measure 15" and is stuffed with love in India and has silky soft white fur that will set your heart a flutter! Daffodil is made with child safe fabrics and holds a red heart inscribed with "I Love You". 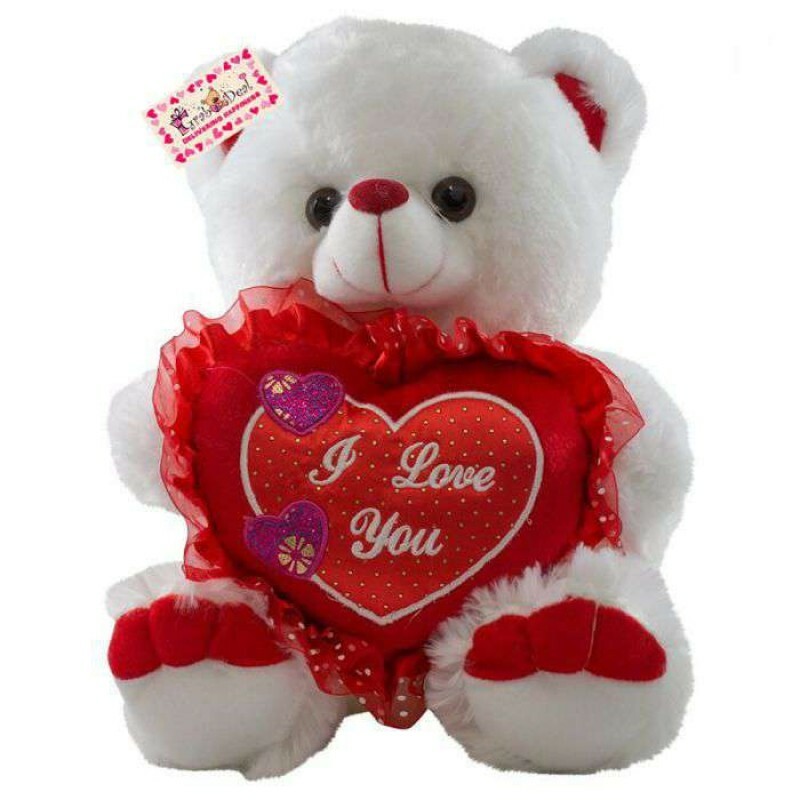 Stuffed Rose Teddy Bear is the best way to show that special someone how much you truly love and car..
Super Cute Happy Panda wearing a beautiful Yellow Baby Panda T-shirt is made with Love in India and .. Nervous Emoticon Pillow "Nothing to say" is made of super soft plush E.F. The Nervous Emoticon is us..